A finished picture frame back showing the picture hook supplied by Picture Framing For You. For heavier pictures different picture hooks are supplied. For example, a double hook, or twin double hooks. 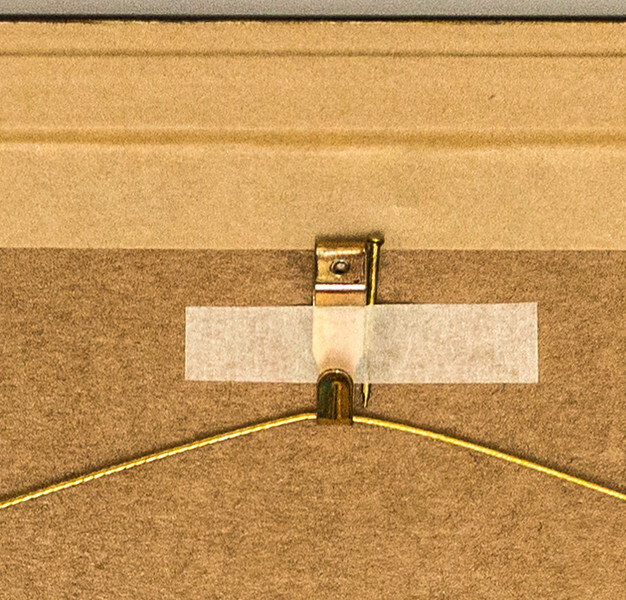 Note that using two picture hooks can help keep picture horizontal on the wall. It's so annoying to notice that your pictures have moved and are no longer hanging straight on your wall!